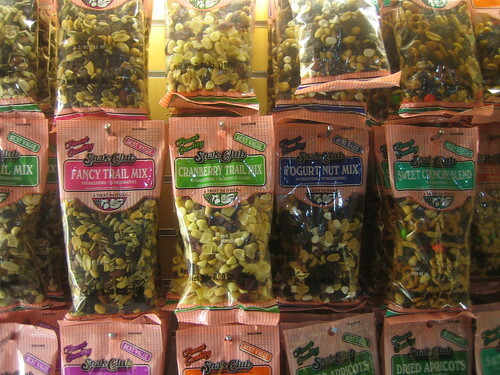 Usually I'm too lazy to write: Trailmix anybody? I haven't said anything about Vannevar Bush yet. Fun article: There's the geeky "Ooh, look, he envisions the internet. No, it's Wikipedia. No, it's Zotero. No, wait..." part. And then there's the microfilm-nostalgic part. (Hey, have you ever tried to read microcards with your bare eyes?) I enjoyed the connection to hypothes.is made by the #openlearning17 cMOOC creators – nifty tool, and the annotations left by fellow cMOOCistas. And I was pleased by the puns – happy trails and the like. Wondering: did anybody joke with trailmixes? Trailmixtapes? The combinations might open actually meaningful connections – mixtapes as metamusic, just like Bush's annotations and trails and the multidimensional links between texts, tags, notes, and annotators are metatexts. *This reminds me of the Great Joke of Great Scholars: in the case of some Harvard law scholar who plagiarized the work of some Yale law scholar and excused it with "my student assistants messed up" or the like, it became clear that the Great Scholars don't actually write the stuff that they don't read. The system is unbroken!